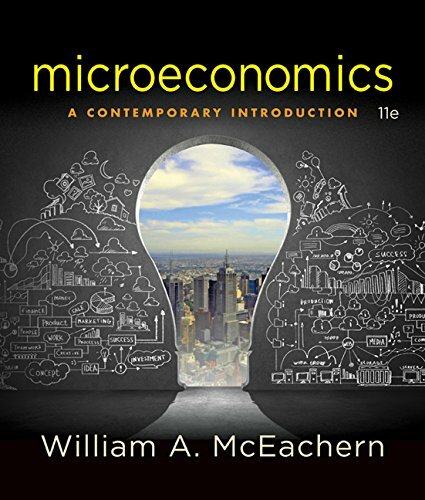 1305505530 -Now you can “teach by example” with the unique approach to economics found only in McEachern’s acclaimed MICROECONOMICS: A CONTEMPORARY INTRODUCTION, 11E. The text uses examples and illustrations that your students will recognize when they show up for class the first day, because they already have at least 17 years of personal experience with economic choices, institutions, and events. This book truly leads by example, taking a “just-in-time” approach that introduces material just as it is needed to develop an argument. Clear and interesting exposition combines with case studies, recent research findings, and a focused design. Relevant case studies are integrated into the flow of each chapter. Each chapter includes a one-page case study in the printed book as well as a second case study online. The book’s well-crafted approach is enhanced with resources, such as Aplia and MindTap, that help improve student understanding and help you streamline tasks and save valuable time.